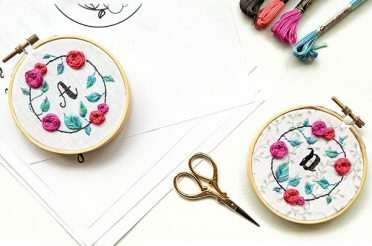 Stitch your piece and make sure your hoop is big enough for it. 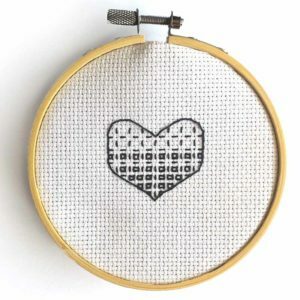 To stitch the free Blackwork Heart shown in the video (or any of the other free patterns), click here to access the pattern. 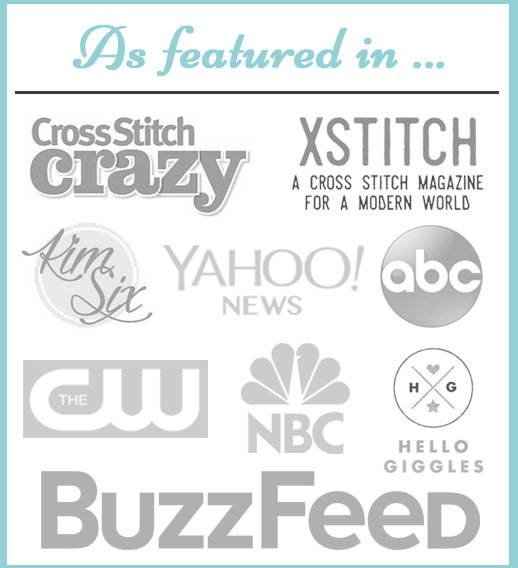 The hoop in the video is a 4″ diameter hoop (and the pattern was stitched on 14 count Aida fabric). Make sure your stitching is washed. To learn the easiest method to wash your piece (and find out why you should do it), click here. 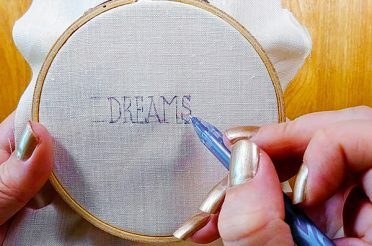 Trace the outside edge of the inner hoop on felt, and cut out with scissors. You can also do another piece using the inner edge if you want to put it against the stitching directly to line it. Place the stitching in the hoop, get it taut and centered exactly how you want it. Trim the excess fabric on the back (around an inch from the edge of the hoop). 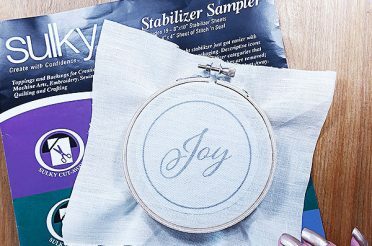 Using floss the same colour as the fabric, anchor your thread and either stitch in a circle using running stitch around the excess fabric, or stitch it back and forth like a corset as shown in the video. Once the excess fabric is gathered, anchor the floss you’ll use for the blanket stitch (can be a contrasting colour). 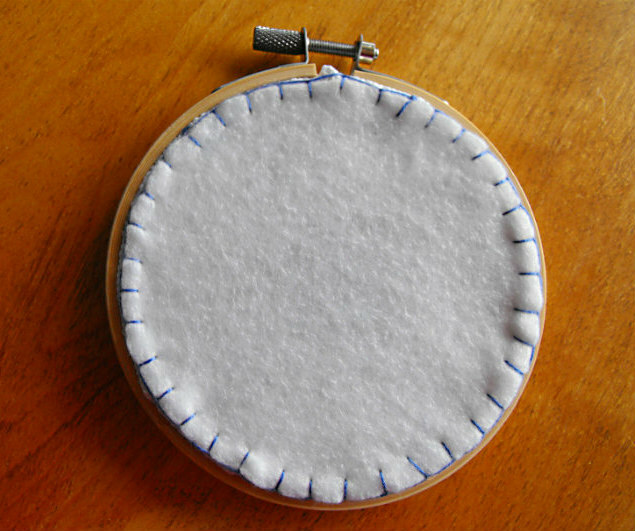 Place your felt circle onto the back of the hoop, and start stitching around the hoop. 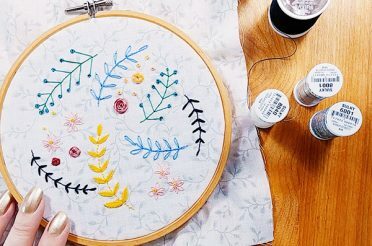 Make sure your stitches are evenly spaced and similar lengths, and keep your stitches coming out as close to the edge of the hoop as possible. When you’ve gone all the way around, anchor your floss by tying a small knot around the intersection of the first stitch, and run your floss into the back of the fabric and through the felt to hide the end. Pull taut, and snip the end of the thread so the end disappears into the back of the hoop. Use a pretty ribbon or hook to hang your hoop from. Have fun! Use contrasting threads and felt colours for a fun surprise on the back! 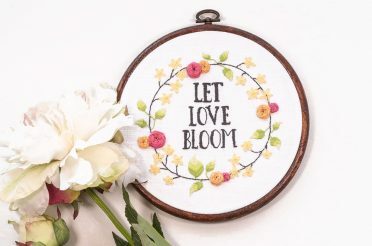 Have you ever wanted to frame cross stitch in an embroidery hoop, rather than a traditional frame? It's becoming really popular recently, and it's easy! Great video. Thanks so much for sharing. I do have one quick question though. 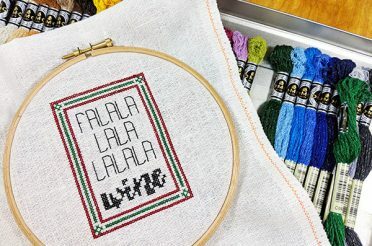 I’m getting ready to use this technique to frame a piece for my mom. I have some old wooden hoops like the one you used in the video and I’ve noticed that over the years the metal pieces rusted and now the fabric has rust stains. Is there a way to keep that from happening other than using plastic hoops? I really like the look of the wood. 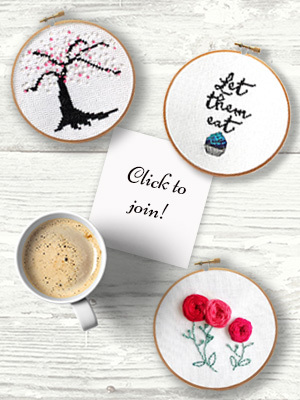 I just finished two small designs for my daughter’s kitchen and wondering how to frame it at home..Thanks a lot for showing such a easy way to do it..
Any sources for bulk price hoops? I’ve started doing all the snarky subversive cross stitches I find for our family’s bar. Some in the main bar, some for the girls bathroom or the guys bathroom. Since they are just for shits and giggles, I can’t invest too much in the hoops. Great video by the way, thank you. 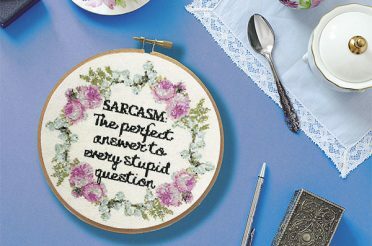 The snarky subversive cross stitches keep customers coming back to see if there are new ones and some are becoming catch phrases for the bar. Great video! I’m really excited to try this on a beautiful piece I just finished. I am so glad I found this video and site. 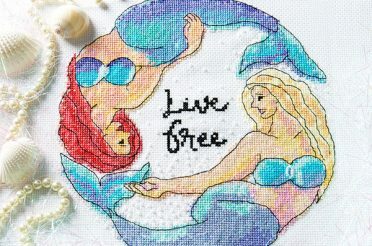 I am new to cross stitching and have only completed one piece. I say completed, but I haven’t framed it, which is what brought me to your site (Thanks, Pinterest!). I do have one question, and maybe you have something already on the site to help, but what do I do with the thread strands on the back of the piece from where I’ve changed colors or ran out of thread and had to use more? Thank you so much for any advice you can offer! That’s exactly what I meant! Thank you! 🙂 I’ll try and weave them from now on and see if any that I’ve got now are long enough to rethread.